NEW GAME! 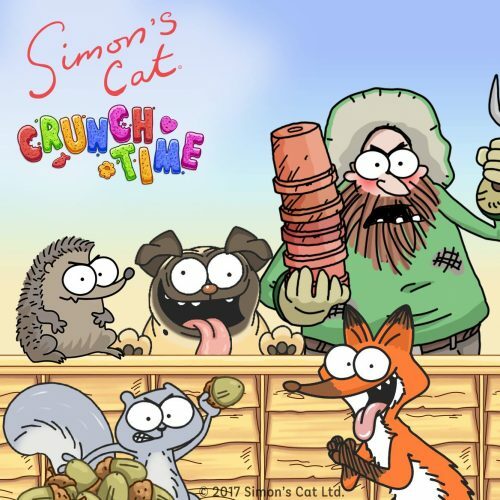 Simon's Cat - Crunch Time. NEW GAME! Simon's Cat - Crunch Time. 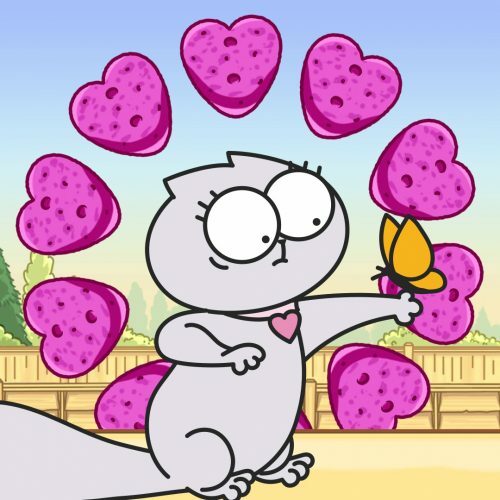 Simon’s Cat in Crunch Time! – a Match 3 puzzle adventure. ? ? ? 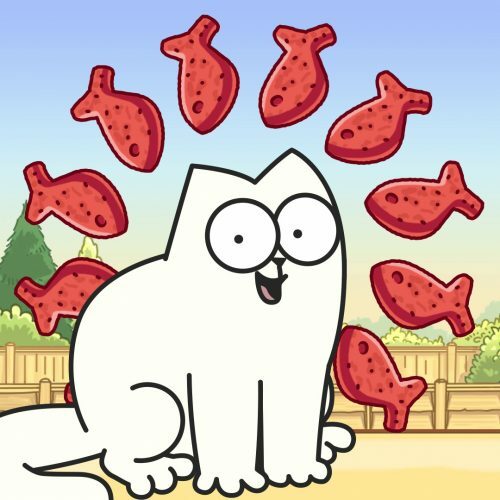 Join Simon’s Cat, Maisy, Chloe and Jazz, and a cast of determined kitties on a colourful adventure through some pawsome new places where Treats are just waiting to be eaten. 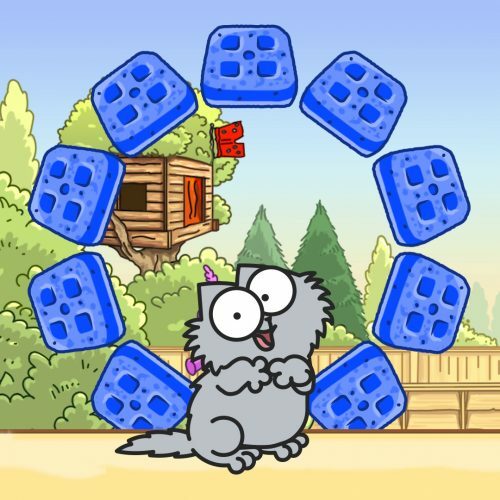 Be ready to collect Tasty Treats, fight off big baddies and befriend a host of animal critters in this FREE puzzle game with added CATitude! Click to get it now on Amazon, Android and iOS. Simple and addictive puzzle gameplay! Connect the same coloured Treats to make a delicious chain! 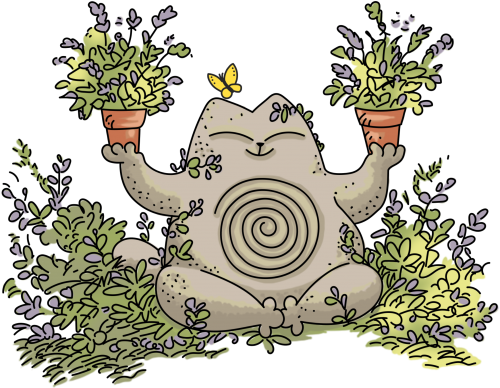 Play your way through the neighbourhood in six different game modes and hundreds of challenging levels! 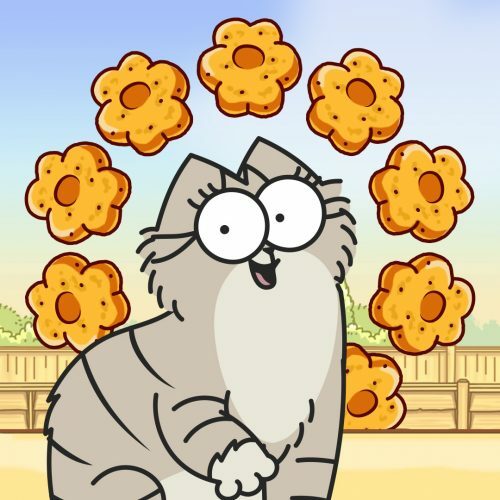 Whether it’s mischievous Simon’s Cat, affectionate Maisy, playful Teddy, adorable Kitten, happy Rumble, grumpy Jazz or precious Chloe collect treats to keep them fed and happy! Use your Treats and special boosters to fight off Sir Royston the Pug, Mr Potts, hungry hedgehogs and even a treat crazed vacuum cleaner!